#Airtel4G ~ The Fastest Network Ever to the Rescue! Internet has become an important part of our lives. We can no longer imagine a life without it. I love connecting with my friends and relatives online on platforms like Facebook, Twitter, Instagram, Google+ etc. But because of slow speeds, I,often, am unable to do so. Now, with the launch of Airtel 4G, gone are the days of snail like crawling Internet speeds because Airtel 4G gives us unbelievable speeds that are faster than 2G and 3G speeds. Rolled out in over 296 cities in India, Airtel 4G is sure to change the network speed scenario. With faster speed, we’ll be able to use the Internet better and enjoy our experience online better. It is super easy to get Airtel 4G, just tweet with the hashtag #GetAirtel4G and you’ll get the 4G sim delivered to your home for free. While Airtel 4G provides better features with faster speed, it is also pocket friendly. We don’t have to shell out extra because the prices are same as that for 3G! With these unbelievable speeds, I can now surf the Internet faster, open even the heavier websites and have the confidence that I can search anything on the Internet faster. Watching videos and movies online will also be more pleasurable with fast loading without any of the usual long waiting. Now, I can watch my favourite movie trailers, songs and movies online with ease and no frustration of having to wait for hours for the video to load. Also, I won’t have to compromise on the video quality just so I can reduce the streaming time. With Airtel 4G, I can watch high quality videos and not fret about the loading time. Connecting with friends and relatives will become easier, faster and sweeter with the fast 4G speeds. Even video chats will become possible with faster Internet! I love blogging but am unable to upload my work and then share it on various social media platforms because of the slow Internet speed, with Airtel 4G this problem will be solved. I’ll be able to publish, share and interact with my readers better! I use Google Maps everyday while travelling so I know which route to my office is with minimum traffic. With slower speeds, using this service becomes cumbersome and irritating. With faster speeds, using this service will be fluid and my life will become easier. Often times, due to slow speeds my mails don’t sync which has had me in trouble several times when I missed a meeting or didn’t read the client mail asking for my immediate response till it was very late. With Airtel 4G’s faster speed, my mails will be able to sync properly and save me trouble! The fastest Network is here. So don’t wait and upgrade to Airtel 4G today! Read more about Airtel 4G here: http://www.airtel.in/4g/. 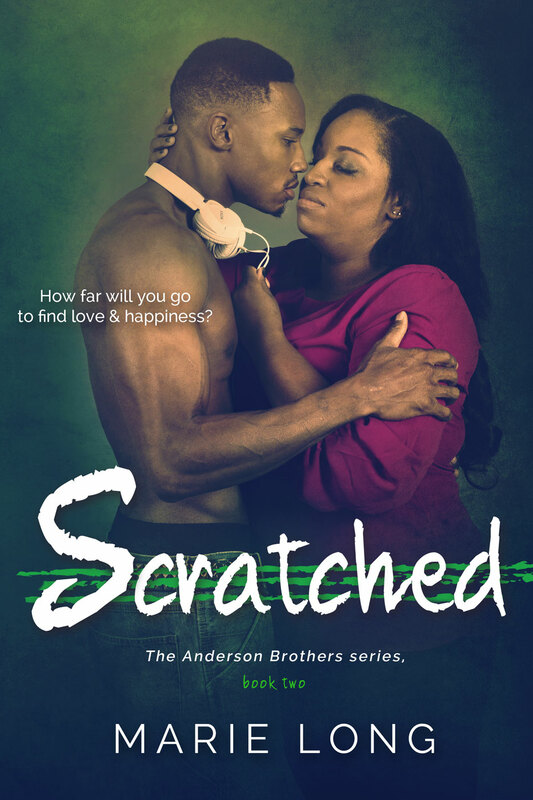 Welcome to the Blog Tour of Scratched by Marie Long. 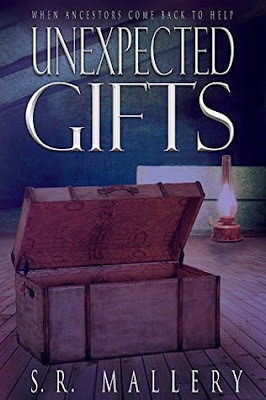 This is the second book in The Anderson Brothers series but it can be read as standalone. I am so excited to host the book on my blog today! Twenty-four year old Kevin Anderson lost the opportunity to end his senior year at the University of Washington as the Huskies' all-star point guard, and sought out one last opportunity to put his extraordinary basketball skills to use: by training for a chance at the pros. But when he's not on the court, Kevin has only two things in his life that gives him happiness: spinning records at the local clubs, and Trinity Brown. Trinity attends almost every one of Kevin's deejay gigs, but Kevin is uncertain if her love for him is genuine or a fangirl's simple admiration. Kevin takes that chance and hopes that she will see beyond the celebrity persona. But when fall classes start up again, their busy schedules press their relationship. Kevin doesn't want to give up on her--on them. He hopes the happiness they had will rebound once more. But when he learns the truth about Trinity, Kevin must decide if it is worth everything--and everyone--he cares about to save her, or forfeit this exhausting game of love. 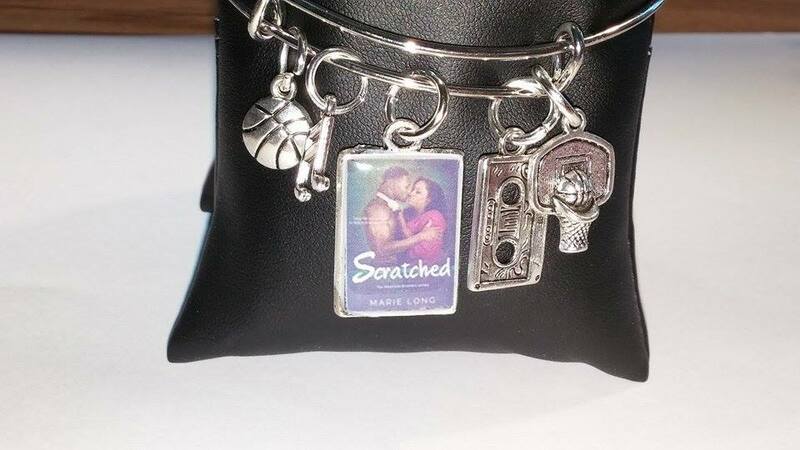 Prize: A beautiful themed necklace based on the book, Scratched by Marie Long. Open only to those who can legally enter and receive the prize and have a valid postal address anywhere in the World. Winning Entry will be verified prior to prize being awarded.No purchase necessary. You must be 18 or older to enter or have your parent enter for you. The winner will be chosen by rafflecopter and announced here as well as emailed and will have 48 hours to respond or a new winner will be chosen. This giveaway is in no way associated with Facebook, Twitter, Rafflecopter or any other entity unless otherwise specified. The number of eligible entries received determines the odds of winning. 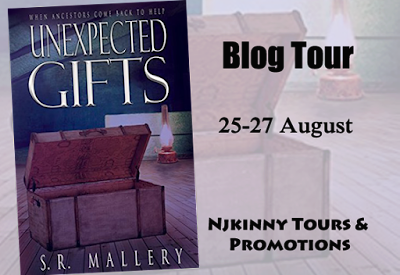 Giveaway was organized by Nikita (Njkinny) from Njkinny Tours & Promotions and sponsored by the author. VOID WHERE PROHIBITED BY LAW. 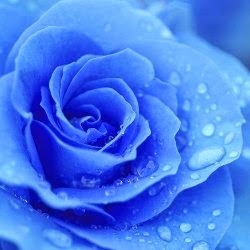 Friendship ek shabd nahi, ek khoobsurat ehsaas hai. Jaane kab hum bade ho gaye kagaj ki boat banaate banaate. Sab kuchh badal gaya, par dosti ka matlab nahi badla. 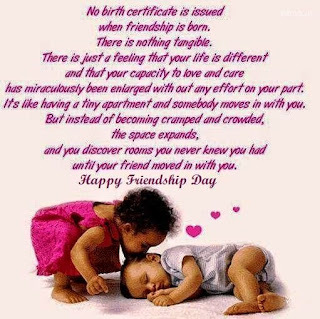 Happy Friendship Day to all !!!! !